If you want to use 295, 290 or 308mm brake discs, you will have to space the brake caliper to be able to actually fit the caliper on the car. If you would not be using these, the discs will touch the calipers with possibly catastrophic failure as a result. We do offer more sizes as spacing on an Elise S1 might be slightly tricky with the 15" front wheels. 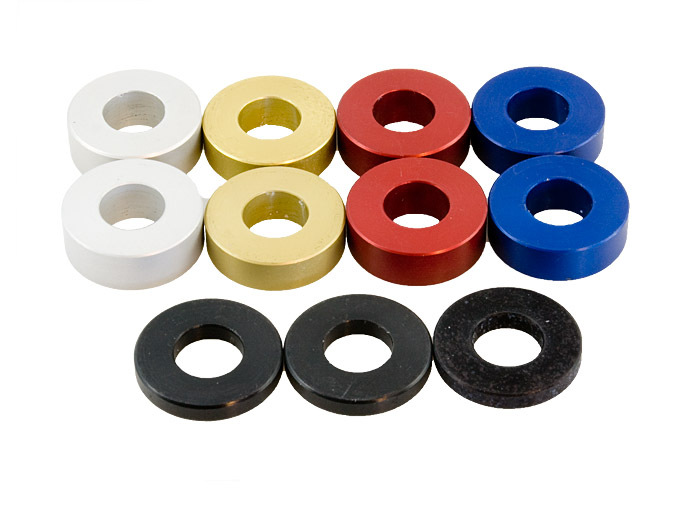 Our 295 discs come with a set of four different spacers. The Elise S2 has 288mm discs as standard.